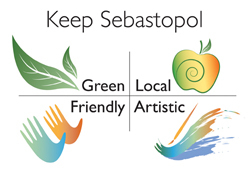 Keeping Sebastopol green, local, friendly and artistic! 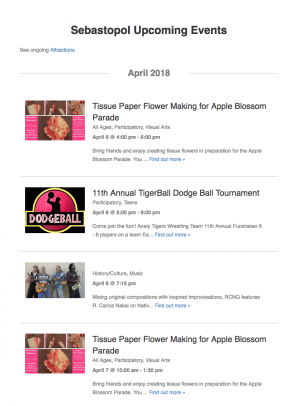 This Community Calendar displays cultural and entertainment events in Sebastopol. You can also find local meetings and on-going attractions. and post it in your store, home or office. A project of Inquiring Systems, Inc.